Florida National University (FNU) in partnership with Real Concepts Magazine awarded a scholarship to Mrs. Denia Balmaseda so she can learn English through FNU’s English as a Second Language (ESL) program. 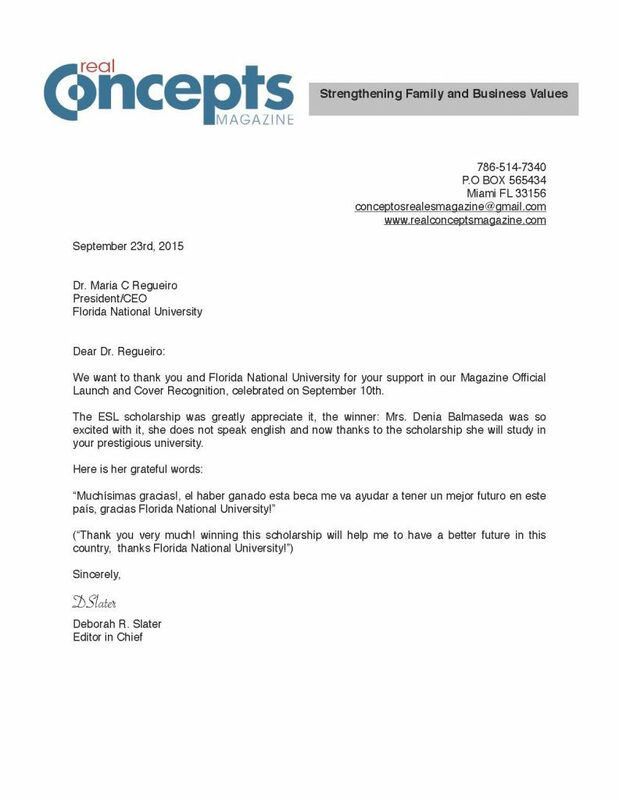 To show her appreciation, Mrs. Balmaseda (who currently does not speak English) asked Real Concepts Magazine to draft a letter of appreciation on her behalf. 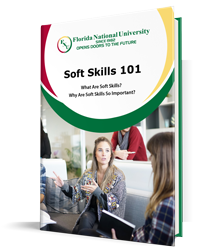 “Muchísimas gracias, el haber ganado esta beca me va ayudar a tener un mejor futuro en este país, gracias Florida National University!” (“Thank you very much! Winning this scholarship will help me to have a better future in this country, thanks Florida National University!”), said Mrs. Balmaseda.